1. 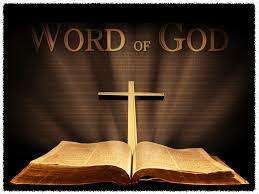 We te ach that the Holy Scriptures differ from all other books in the world in that they are the Word of God. They are the Word of God because the holy men of God who wrote the Scriptures wrote only that which the Holy Ghost communicated to them by inspiration, 2 Tim. 3:16; 2 Pet. 1:21. 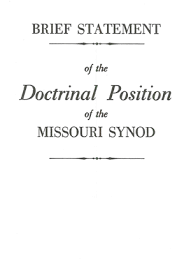 We teach also that the verbal inspiration of the Scriptures is not a so-called “theological deduction,” but that it is taught by direct statements of the Scriptures, 2 Tim. 3:16; John 10:35; Rom. 3:2; 1 Cor. 2:13. Since the Holy Scriptures are the Word of God, it goes without saying that they contain no errors or contradictions, but that they are in all their parts and words the infallible truth, also in those parts which treat of historical, geographical, and other secular matters, John 10:35. 2. We furthermore teach regarding the Holy Scriptures that they are given by God to the Christian Church for the foundation of faith, Eph. 2:20. Hence the Holy Scriptures are the sole source from which all doctrines proclaimed in the Christian Church must be taken and therefore, too, the sole rule and norm by which all teachers and doctrines must be examined and judged. 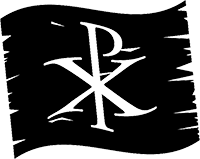 – With the Confessions of our Church we teach also that the “rule of faith” (analogia fidei) according to which the Holy Scriptures are to be understood are the clear passages of the Scriptures themselves which set forth the individual doctrines. (Apology. Trig lot p.441, § 60; Mueller, p.284). ‘The rule of faith is not the man-made so-called “totality of Scripture” (Ganzes der Schrift”). 3. We reject the doctrine which under the name of science has gained wide popularity in the Church of our day that Holy Scripture is not in all its parts the Word of God, but in part the Word of God and in part the word of man and hence does, or at least, might, contain error. We reject this erroneous doctrine as horrible and blasphemous, since it flatly contradicts Christ and His holy apostles, sets up men as judges over the Word of God, and thus over-throws the foundation of the Christian Church and its faith. Not all believe this truth, though, that Paul in his letter to Timothy writes what is right and true. As it was in Paul’s day, and the days, he says, which were to come, so also in ours. For example, Paul warns Timothy that “evil men and imposters will grow worse and worse, deceiving and being deceived” (2 Timothy 3:13). To Timothy, Paul also writes “that in the last days perilous times will come: 2 For men will be lovers of themselves, lovers of money, boasters, proud, blasphemers, disobedient to parents, unthankful, unholy, 3 unloving, unforgiving, slanderers, without self-control, brutal, despisers of good, 4 traitors, headstrong, haughty, lovers of pleasure rather than lovers of God, 5 having a form of godliness but denying its power” (2 Tim. 3:1-5, NKJ). Additionally, in today’s epistle, Paul also writes that “The time is coming when people will not endure sound teaching, but having itching ears they will accumulate for themselves teachers to suit their own passions, 4 and will turn away from listening to the truth and wander off into myths” (2 Tim. 4:3-4, ESV). That time is now. In the 70’s, and in days leading up to that time, our own church body struggled with those in our fellowship, even seminary professors, who minimally cast doubt and at most, denied, that the accounts of the creation, Jonah being swallowed by a fish, and other accounts of both Testaments were historical truths and facts that literally happened. Uncertainty concerning one account of Holy Scripture, however, puts into question other teachings of Scripture and does not lead to Christ and true, saving faith, but to a Jesus of one’s own making and damning faith. This is where we find ourselves today. 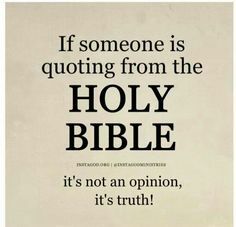 Many simply disbelieve what God’s Word actually says, stating the right to “personal interpretation” and refusing to accept the “interpretation” of others, even if that so-called interpretation is not an interpretation at all, but word for word from the Bible itself. Unlike Timothy, many of our young and younger people know little about the Bible and its content, let alone what it means. Though older generations might be more familiar with what’s in the Bible, or not, because of the shallow teaching within many congregations and church bodies concerning Christ and His Word, fewer believe according to the true doctrine, picking and choosing what they want to accept and denying that which they don’t. Luther’s headings remain relevant. Though the congregation and pastor care for both young and old and younger and older in catechetical instruction and teaching the Bible, so should heads of households. Children learn both good and bad from their parents. They also learn from the model that their parents, single or together, provide concerning the importance of Holy Scripture and attending God’s house on the Lord’s Day. Perhaps this is a contributing factor to why church attendance is all over on the decline and why the “religiously unaffiliated” (with any church) is on the rise. Lament the current state of today’s church and speak of possible solutions that “we” could do is a temptation, and many are about just this. Statistic after statistic relay the endless problems of today’s church. Fingers could easily be pointed in all directions. There is plenty of fault to go all around. Such talk will not solve our predicament, nor will it provide the antidote. Our Lord has not promised a life of peace – until the “Last Day.” Until then, we continue to struggle, and struggle we will, by God’s grace, God helping us, even in Word and Sacrament, that we daily take up our crosses, all of them, and follow Him. Our Lord does not leave us alone, to either ourselves or to the mercy of world. Nor does the Lord leave us without hope in the midst of a dying world that seeks every other way of peace and salvation than the peace and salvation that God gives in His Son. Jesus Christ we proclaim, even if all turn their back and all close their ears. This will be so because “There is no other Name under heaven, given among men, by which we must be saved” (Acts 4:12). We learn of this One through the Sacred Scriptures, the Holy Bible, called so on account of whose Word it truly is – God’s, and not man’s. Such sublime truth is revealed throughout the Scared text of the writings, both Old and New, as well as by today’s epistle from Paul’s letter to Timothy. The “sacred writing” referred to by Paul which Timothy knew from his grandmother Lois and from his mother Eunice (2 Timothy 1:5) is none other than the writing of Genesis through Malachi, the very same writings that testify of Christ our Lord, as Jesus Himself says in John 5, “You search the Scriptures, for in them you think you have eternal life; and these are they which testify of Me” (Jn. 5:39, NKJ). The Word of Jesus we cannot deny nor omit concerning the Old Testament text, which speak of Christ to come, giving the promise of the Savior who “carried our sorrows,” “was wounded for our transgressions,” “by” whose “stripes we are healed,” and upon Whom “the Lord has laid…the iniquity of us all” (Isaiah 53:4-6). The Words of our Lord, however, do not only recall the past words of God to His people through the prophets. Jesus also spoke of that which was to come, even the writings of the New Testament. In what is sometimes referred to as Jesus’ high priestly prayer, of John 17, our Lord prays, “I do not pray for these alone, but also for those who will believe in Me through their word” (Jn. 17:20, NKJ). The “these alone” for whom He prays are His disciples, soon to be apostles. “Those who” would “believe in” Him include also us, who believe on account of the Word which they spoke, the Word which they also wrote. Of such words, our Lord also promised His disciples the Holy Spirit, to whom He said, “the Helper, the Holy Spirit, whom the Father will send in My name, He will teach you all things, and bring to your remembrance all things that I said to you” (Jn. 14:26, NKJ). The Holy Spirit has done so, having inspired the Apostles, as also the Prophets, to write what He gave them to write, “for our learning, that we through the patience and comfort of the Scriptures might have hope” (Rom. 15:4, NKJ). St. Peter reminds us that “no prophecy of Scripture is of any private interpretation, for prophecy never came by the will of man, but holy men of God spoke as they were moved by the Holy Spirit” (2 Peter 1:20-21). The soundness and validity of the Scriptural text is not the product of your belief or confidence in the text itself. This would make man the Bible’s foundation and not God, nor His Son. Instead of man’s conclusions, hypotheses, theories, or thoughts, we believe the Holy Bible to be God’s Word, not because man or the church says that this is so, but because God has, even through that very same Word which proclaims Christ, Christ to come, Christ having fulfilled, and Christ coming again. Jesus says, “He who is of God hears God’s words” (Jn. 8:47, NKJ). God’s words are those found within the pages of Scripture. The two are the same. 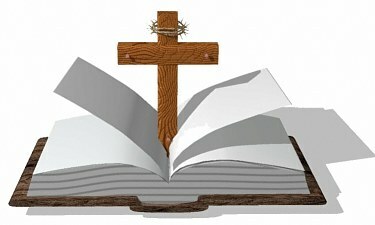 Holy Scripture is God’s Word. This we confess. But such confession doesn’t save. Thus does John write in His first epistle, “These things I have written to you who believe in the name of the Son of God, that you may know that you have eternal life, and that you may continue to believe in the name of the Son of God” (1 Jn. 5:13 NKJ). The Holy Scriptures, the sacred writings of both Testaments, testify and point to Jesus Christ, their center, the Jesus whose life, death, resurrection, and ascension give life to sinners. They reveal the glory of God the Father in the crucified and risen Son, whose blood cleanses you from all sin and by whom you have life and salvation. The Bible is more than just a book of do’s and don’ts. If this is all it is to you, you still don’t have faith in the One thing needful, which is Christ. He is your life and your standing before God, He, and He alone. The Bible does contain do’s and don’ts, but knowing what to do and what not to do doesn’t save. Through these come the knowledge of sin, for “By the deeds of the law no flesh shall be justified in God’s sight, for by the law is the knowledge of sin” (Romans 3:20). What shows us our Savior is the Gospel. And it is by the Gospel, the free forgiveness of sins by means of Christ’s death, that you live, by which God reveals this truth, “Sin shall not have dominion over you, for you are not under law but under grace” (Rom. 6:14, NKJ), not an excuse to sin, but reason to rejoice in the grace God freely bestows and to live by faith in that Word through which God makes your salvation known. Amen. An advertisement for the movie, “The Secrets of Jonathan Sperry” reads, “There have already been hundreds of decisions for Christ as a direct result of watching this movie.” This could actually be a sad commentary on the movie. I haven’t seen the movie, but such an ad is reason for caution. That phrase, “decision for Christ,” carries the baggage of a false theology of conversion. It advances the belief that we ourselves can “make a decision.” Though few might believe this, the phrase itself cannot but lead to such conclusions. The Bible says that “All have sinned” (Romans 3:23) and that there are none righteous, “no, not one” (Romans 3:10). The Psalmist states, “There is none who does good” (Psalm 14:1). Isaiah writes, “All we like sheep have gone astray; We have turned, every one, to his own way” (Isaiah 53:6). Since the Fall of Adam and Eve in the garden, just as recorded in the book of Genesis, man is unable to “decide” for God or for Christ. Since the fall, man doesn’t have the “free will” that so many dream he has. The sinner in his inherited sinful state hates God and doesn’t “fear, love, and trust” in Him above all things. The only remedy for such a predicament is not “making a decision,” but Christ Himself, who through His Word creates faith in the heart (Romans 10:17). Instead of “making a decision for Christ,” rather hear His Word preached, and there you will hear God’s goodness and kindness towards you in Christ—sins forgiven.